HAWTHORNE, CA—Kicking himself as the full scope of his ignorance dawned on him, Elon Musk reportedly admitted his embarrassment Thursday after realizing he was proposing an idea for a thing that already exists. 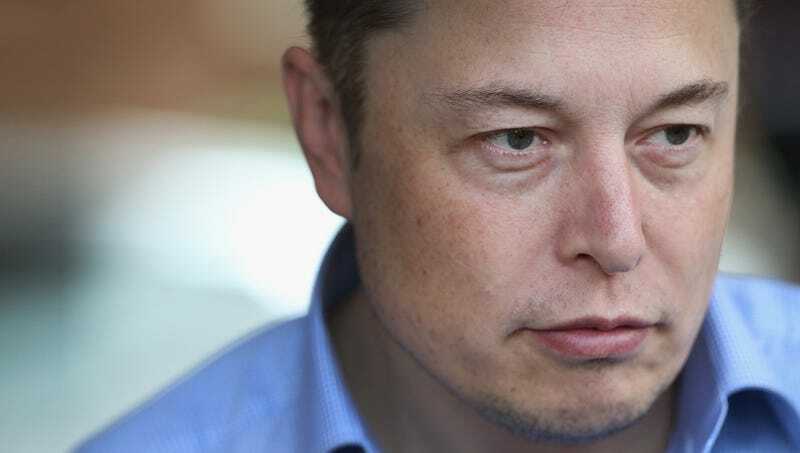 “You’ve got to be kidding me—I’ve been pouring all this money and energy into developing a concept that’s already around?” said a shame-faced Musk, adding that the gaffe was extra humiliating because he’d actually been telling people about his great new idea before noticing that he was just describing a slight variation on an already successful thing. “The most embarrassing part is that I’ve used it before, too, and I have been for years. That must be where I got the great idea in the first place. There’s even a website for it and everything. I was just so excited that I forgot to double-check that I wasn’t just rehashing something else and proclaiming it was original and visionary. God, people must think I’m just completely out of touch.” At press time, a sheepish Musk told reporters that he was going ahead with his idea anyway, no matter how many people would perceive it as an obvious imitation of the real thing.